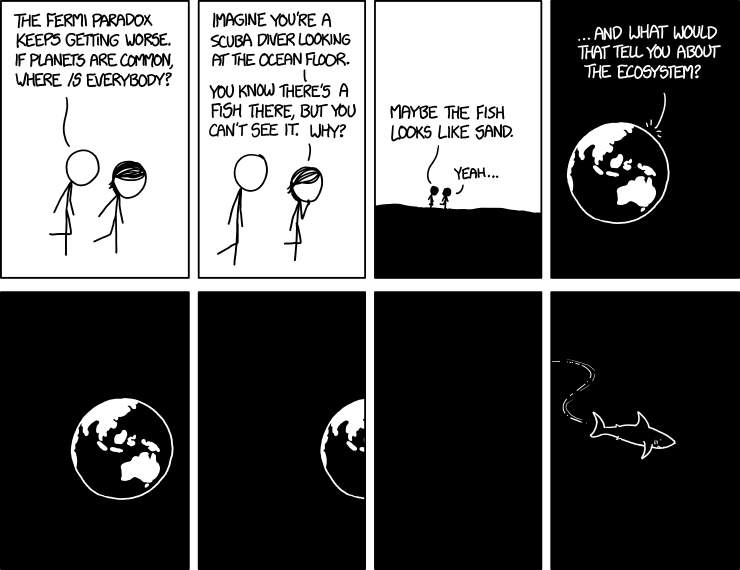 xkcd on the Fermi Paradox. Click through for the full sized version. This entry was posted in Zeitgeist and tagged Aliens, Extraterrestrial life, Fermi paradox, Space, Web comic, xkcd. Bookmark the permalink.